Forget sitting in a hotel ballroom for several days to learn about leadership. Instead, imagine choosing one of our adventures as the backdrop for improving your leadership skills, where you are thrust into a new role to learn world class leadership skills in a more meaningful way. 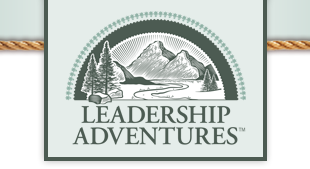 Perhaps you’ll be working with horses on one of our certified Leadership Adventures ranches, hiking on one of our local or national leadership trails, or paddling along a scenic stream in a raft or canoe. Whatever your desired adventure-level, we have an adventure to suit you with built in experiential learning that is proven to be more effective and more fun. And you will come away with tools, techniques, and memorable experiences that will immediately improve your leadership skills. Learning through adventure — like you’ve never experienced before. Our focus is leadership; our venue is reality. 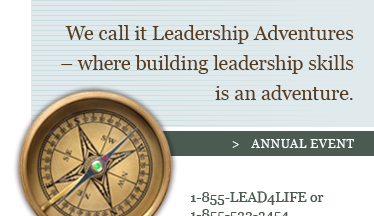 Join us — and let your leadership adventure begin!